If your home is flooded and the problem isn’t resolved immediately, within 24-48 hours mould growth can begin to spread and cause safety issues. If the water that floods your home is contaminated, it could pose a health risk to you and your family. A basement flood may not seem like a huge deal, but the following facts about water damage will help you understand just how serious one can be. You will also be able to see just how valuable professional restoration services are when faced with a basement floor or other water damage event. Restoring your home from water damage begins with you. Water damage situations can quickly lead to other problems if they are not resolved quickly. As soon as you notice water damage in your home, you should immediately call a restoration company. It is better to call them right away instead of waiting or trying to remedy the situation on your own. The staff at the restoration company will ask you questions that will help them prepare for the level of damage they need to rectify. The sooner you get help, the faster your life will get back to normal. It is not uncommon to think that once the water has been removed from your home that your life can go back to normal, but this is not the case. There may still be moisture lurking around in corners and cracks that you cannot see. When moisture remains in walls, under floorboards, and in crawlspaces, it can eventually turn into mould. Mould like this can be toxic and can damage the structural elements of your home and lead to health problems if inhaled. Make sure that if you have any water damage in your home that you contact the professionals to clean up the mess. They will know how to properly dry out the area to prevent mould growth. Category 1 “Clean Water”:This type of water is not hazardous because its origin is a sanitary source such as melted snow or ice, rain, and tub or sink water. Category 2 “Grey Water”:This type of water originates from a contaminated source such as water from dishwashers, washing machines, or toilet bowl overflows. It contains bacteria and microorganisms that can make you sick. Category 3 “Black Water”:This is the most serious kind of water that requires immediate attention and possible home evacuation. This water originates from sewage, rising flood water from streams and rivers, and ground surface water. Black water can lead to sickness and even death because it can contain E. Coli, Acanthamoeba, Salmonella, Helicobacter pylori, Leptospira, Giardia, Hepatitis A Virus, Cryptosporidium, Clostridium Tetani, and Adenoviridae. Depending on where the water came from, your home could be highly contaminated and could cause you and your household illnesses, or even death. Not every home flood situation can cause health risks, but some do, and you should take the proper precautions to protect yourself. If you are unsure about where the water has come from, contact the professionals to help you. Some types of water damage will not be covered under your insurance policy. 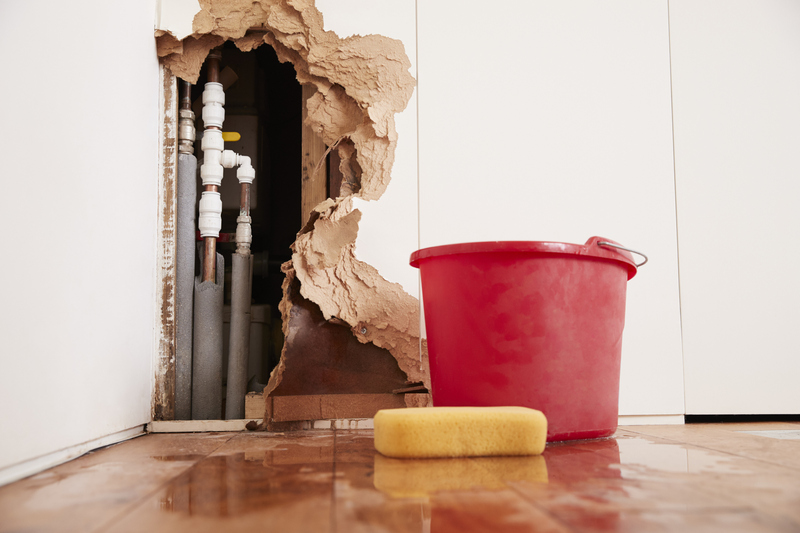 If a sudden situation occurs like a burst pipe, most policies will cover the repairs. However, if the water damage is caused by wear and tear from improper maintenance, you may be on your own. In most cases in Canada, flood damage is covered under your normal homeowner’s insurance. If you live in a high-risk flood area in the United States, you will probably need a separate policy to protect your property. Understanding the details of your policy ahead of time is important for you to know what you are responsible for. Make sure to pay close attention to the sewer backup and water damage exclusions as well as any policy limits. Call your insurance company right after the professional water damage company if you discover water damage to your home. Not only will the claims process begin right away, they will also guide you through the process of getting your home cleaned up and preventing future damage from occurring. They will also be able to provide you with water damage restoration companies in your area if you have not been able to find one on your own. If you are dealing with a flood situation, it can be challenging to know where the water is coming from and how to resolve it without the help of a professional water damage restoration team. Working with a professional restoration company is your best option to efficiently and thoroughly inspect your home and find quick and complete solutions. Although it may cost you more upfront than trying to fix it on your own, the expense is far less than leaving the situation to get worse if you are unable to trace all sources of water and completely dry and decontaminate your home. If you need help with water damage repair in Toronto, Flood Services Canada can help you. Our professionals can provide you with solutions, and we can help you settle with your insurance company. We deploy our quick-response teams across the GTA to help homeowners save their property. We provide 24/7 sewage, water damage, and flood cleanup services and will use the best techniques, personnel, and equipment to ensure your home is clean, safe, and dry as soon as possible. Contact us at (416) 302-2107 to learn more about our services, or use our emergency hotline at (416) 999-3930 to get our rapid-response teams deployed to your location.